– The iconic NASA spacecraft that flew with the first U.S. astronauts to walk on the moon will launch on a cross-country tour to celebrate the 50th anniversary of its historic mission. 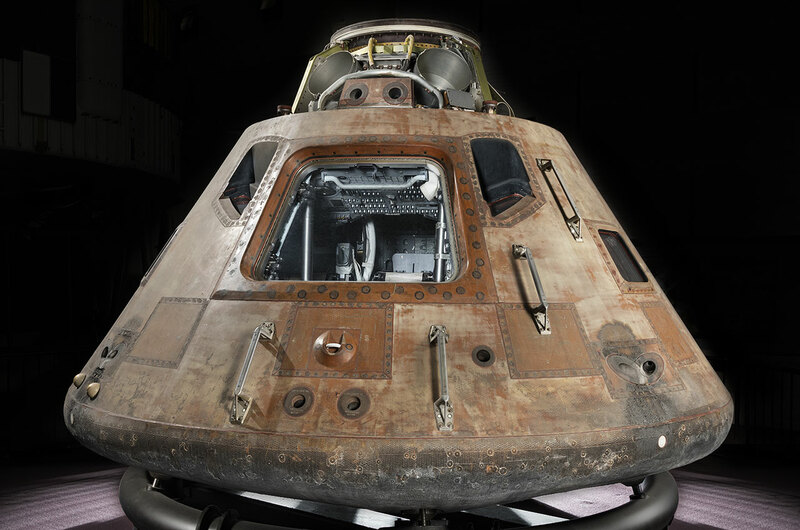 The Apollo 11 command module, Columbia, which in 1969 carried Neil Armstrong, Buzz Aldrin and Michael Collins to the moon, will depart the Smithsonian for two years to visit museums in Houston, St. Louis, Pittsburgh and Seattle. It will then return to Washington, D.C., where it will become the centerpiece inside a new gallery at the National Air and Space Museum that will tell the story of human exploration of Earth's natural satellite. "We are working on a new major gallery called 'Destination Moon,' which is scheduled to open in 2020," said Michael Neufeld, historian and senior curator in the Air and Space Museum's division of space history. "The gallery will not be ready for the 50th anniversary and because of construction in the building that will be going on, we decided it would be a great chance to send Columbia out there and show it at various museums around the country." The similarly-titled four-city exhibit, "Destination Moon: The Apollo 11 Mission," arranged by the Smithsonian Institution Traveling Exhibition Service (SITES), will premiere on Oct. 14 at Space Center Houston in Texas. Columbia, together with 20 other artifacts from the first moon landing, will then move to the Saint Louis Science Center in Missouri in April 2018, and go to the Senator John Heinz History Center in Pennsylvania in September of that same year. The tour will make its last stop at The Museum of Flight in Washington, opening in March 2019. 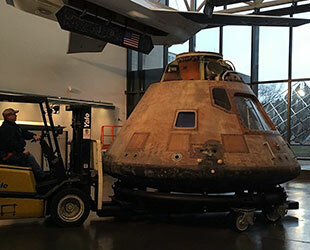 The spacecraft will still be on display in Seattle for the 50th anniversary of the Apollo 11 mission in July 2019, prior to it returning to the Smithsonian two months later. "This is the biggest exhibition we have ever done; traveling the Columbia is a major production," Neufeld described in an interview with collectSPACE. "We hope that because it is distributed around the country — in the center southeast with Houston, central with St. Louis, west with Seattle, and near the east coast with Pittsburgh — that it will give a lot of people the chance to come see it." 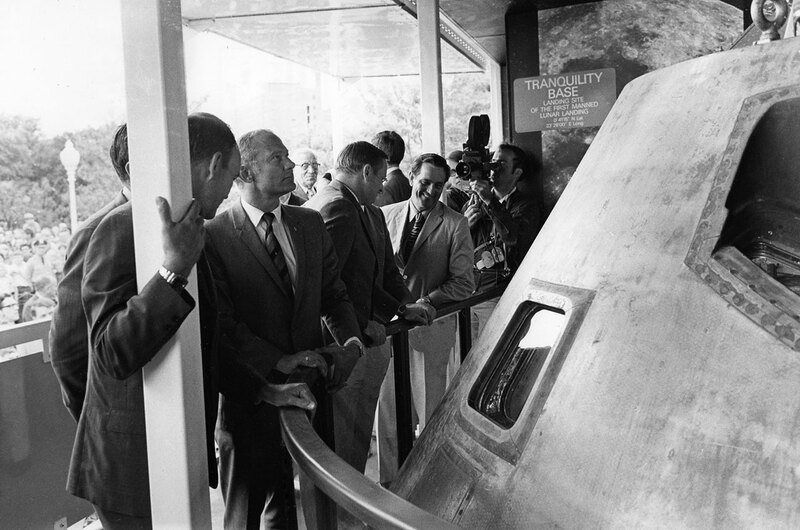 Nine months after it returned from the moon, the Apollo 11 command module departed on a 26,000-mile (42,000-km), 50-state tour, where it was viewed by 3.25 million people between April 1970 and May 1971. Columbia was then put on display in the Smithsonian Arts and Industries Building, before being moved in 1976 to the National Air and Space Museum. For the next 40 years, Columbia was a featured artifact in the Air and Space Museum's main hall, until 2016, when it was moved out of "Milestones of Flight" as part of a major renovation that set the stage for the craft's future display in the "Destination Moon" gallery. Columbia is currently undergoing a six-month conservation at the Steven F. Udvar-Hazy Center in Virginia, the annex to the National Air and Space Museum, preparing it for the upcoming four-stop tour. "One of the reasons that we chose a small number of tour locations is because we did not want to repeatedly handle it," explained Neufeld. "It's a big artifact; it has to be a wide load on the highway. It has to be treated very carefully and handled very carefully." 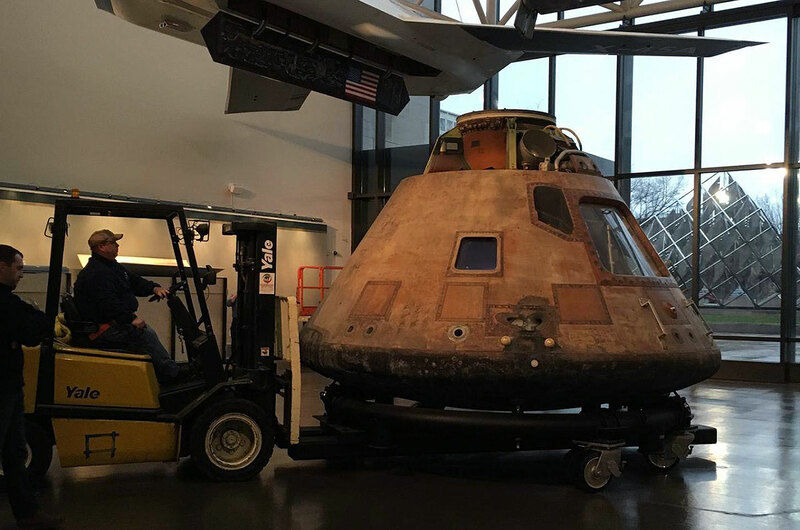 To ensure Columbia is safely transported, its conservators have modified an original Apollo spacecraft mounting ring such that it can be moved by forklifts without ever needing to touch the artifact. The command module attached to the ring will be loaded into a custom traveling exhibit crate. 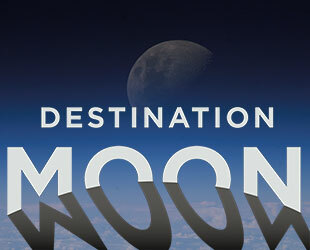 FedEx, as an in-kind sponsor for "Destination Moon," will provide the transportation for Columbia to each tour stop and will be responsible for protecting it while on the road. "As the spacecraft travels from location to location, it'll be on a special convoy," said Neufeld. "For security reasons, we won't make the details of it public. We won't say it is on this particular highway or this specific route." 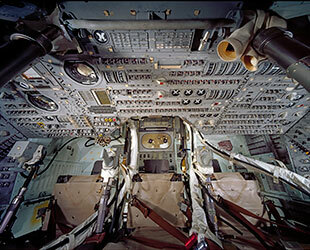 "Destination Moon: The Apollo 11 Mission" will display the Columbia spacecraft inside a glass enclosure, alongside a collection of artifacts, informative panels and interactives. "This exhibit is specifically about Apollo 11 and celebrating the 50th anniversary of the moon landing, as well as the 50th anniversaries of the several missions that led up to it in 1968 and 1969, which will also be celebrated during the tour," said Neufeld. Visitors will be introduced to the history of the early space program, from John F. Kennedy's challenge to send a man to the moon through the Mercury and Gemini programs, to the early Apollo flights, including the fire that claimed three astronauts' lives 50 years ago. 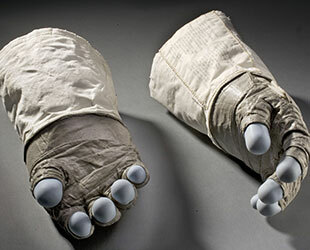 The exhibit will also set out the details of the Apollo 11 mission itself. "That will be accompanied by artifacts that we have in the tour," Neufeld said. 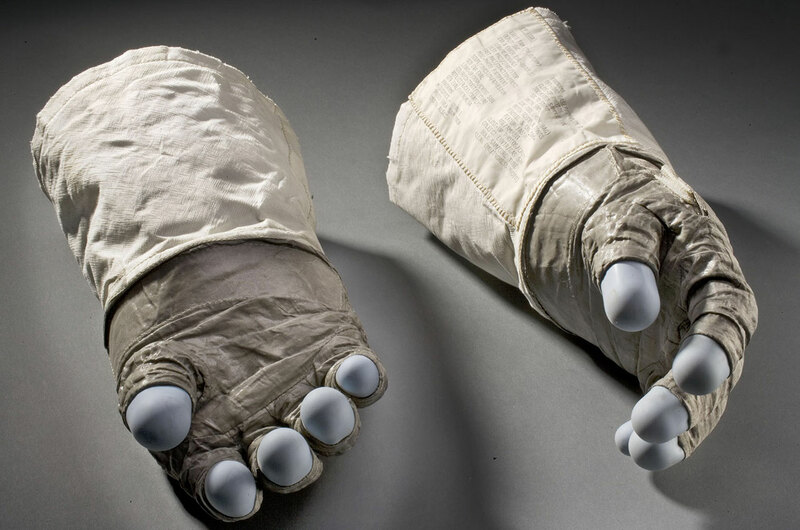 Among the objects joining Columbia on display will be the helmet visor assembly and gloves that Aldrin wore for the moonwalk; the Omega Speedmaster chronograph worn by Collins; a star chart used by the Apollo 11 astronauts; and one of the two "rock boxes" that were used to return lunar samples from Tranquility Base. Also on display will be an injector plate from one of the five Saturn V F-1 engines that launched Apollo 11. It was found and recovered from the ocean floor by a 2013 expedition led by Amazon CEO Jeff Bezos. Bezos and his wife are among the donors whose support has made this traveling exhibit possible. 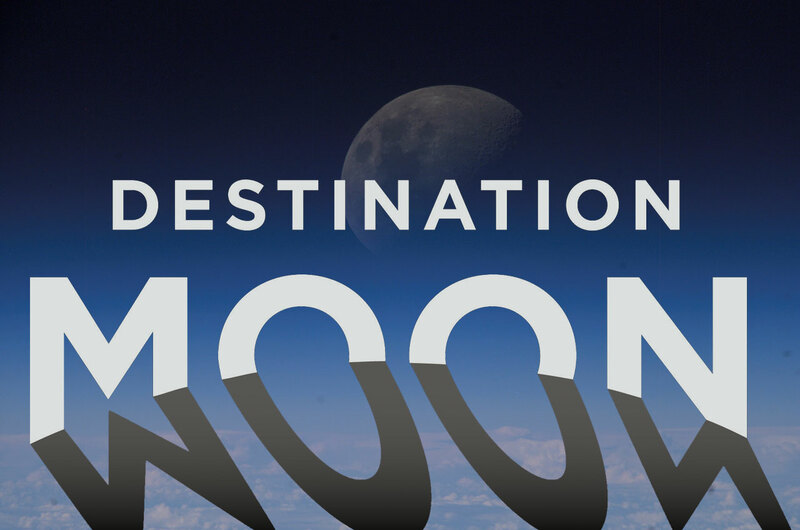 In addition to the physical artifacts, "Destination Moon" will also include an interactive experience to provide the public the chance to see in Columbia. 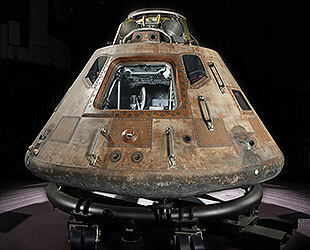 In 2016, the Smithsonian's Digitization Program Office revealed a digital 3D model of the command module, assembled from scans of the ship's interior and exterior. "It is not going to be easy to see in Columbia, so you'll be able to tour the cockpit virtually using a computer screen, which you will be able to manipulate to see all the details," Neufeld described. The digital display, a version of which is already available on the Smithsonian's X 3D website, will serve as a preview an expanded interactive that will be part of the National Air and Space Museum's "Destination Moon" gallery. 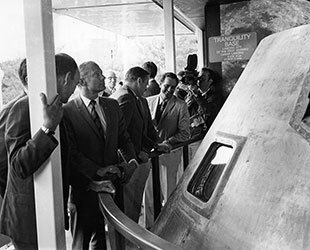 The permanent exhibit opening in 2020 will showcase the Columbia, as well as the Freedom 7 Mercury capsule that Alan Shepard used to become the first American in space, the Gemini 7 spacecraft, a complete F-1 rocket engine and Armstrong's spacesuit that he wore while on the moon. Beyond Bezos and FedEx, "Destination Moon: The Apollo 11 Mission" received support from Joe Clark, the Bruce R. McCaw Family Foundation, the Charles and Lisa Simonyi Fund for Arts and Sciences, John and Susann Norton, and Gregory D. and Jennifer Walston Johnson. All four museums on the tour are Smithsonian Affiliates, an outreach program that develops collaborative partnerships with museums, educational and cultural organizations to enrich communities with Smithsonian resources. Read more about the "Destination Moon" traveling exhibit: Museums and science centers plan for Apollo 11 exhibit. Object List: "Destination Moon: The Apollo 11 Mission"
Columbia is the only part of the Apollo 11 spacecraft to return intact to Earth. It carried the crew, equipment and precious lunar samples through a fiery reentry into the Earth's atmosphere. NASA purchased for astronaut use "Rocket" model felt-tipped markers for taking notes during the mission. 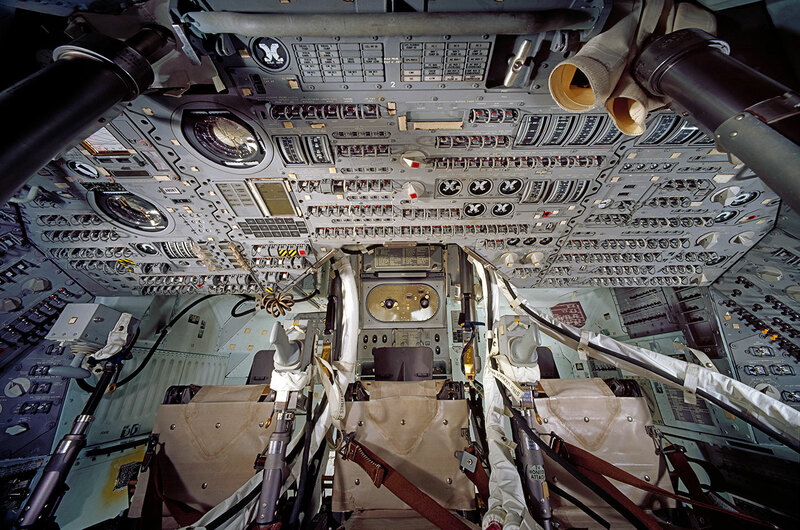 Some of the notes were written on the spacecraft walls and control panels. The pen has a small Velcro tab to secure it in weightlessness. The "rock box" was one of two used to bring back the very first samples of the moon to Earth—47.7 pounds (21.8 kilograms) of lunar material from the Sea of Tranquility. The lunar module Eagle was equipped with this star chart. It was formulated to assist pilot Buzz Aldrin when he used the lunar module's telescope to precisely reset the module's guidance platform shortly before liftoff from the lunar surface. Part of the first-stage engine from Apollo 11's Saturn V rocket, the injector plate, recovered from the bottom of the Atlantic Ocean in 2013, sprayed liquid oxygen and kerosene fuel into the combustion chamber and helped regulate the flow of the hot gases.